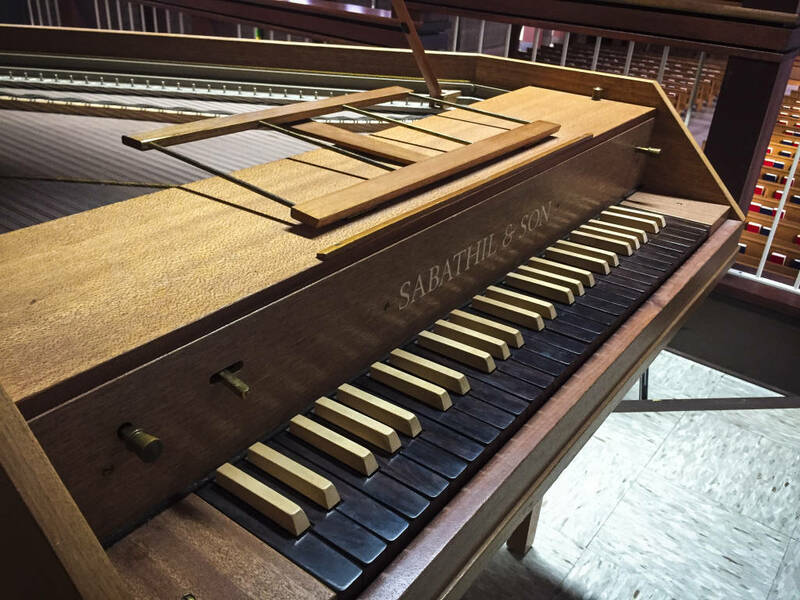 The Sabathil & Son harpsichord, Opus 1438, at Good Shepherd was built in 1969 by Simon (1896 – 1980) and Sigurd (b. 1939) in their shop in Vancouver, BC, Canada. This single-manual instrument has a four-and-a-half octave range (C-f3) and features a lute stop as well as a forte stop, allowing for the realization of a variety of effects. 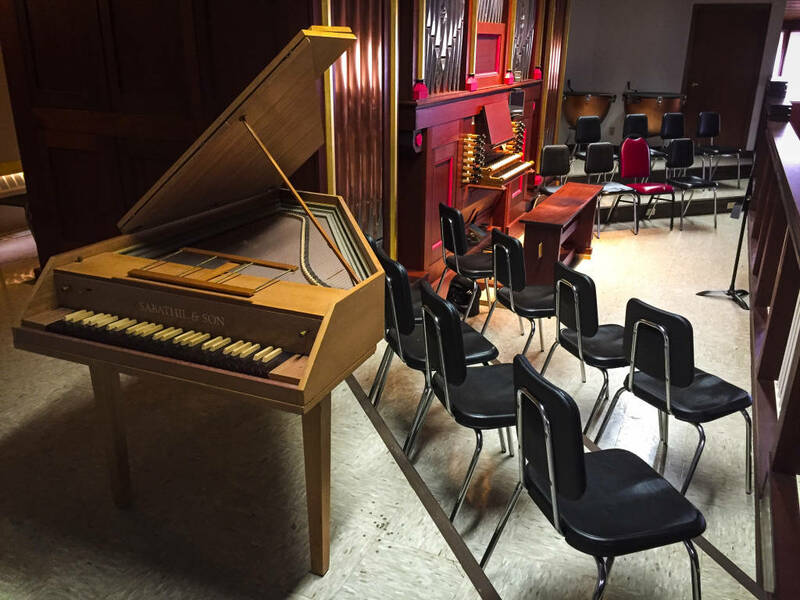 This harpsichord has a modern design, an aluminum frame that overclads a wooden pinblock, adjustable plastic jacks, and double-pinned laminated maple bridges. The Sabathil manufacturing firm was founded in Germany in 1948, in a small town only a few miles from Mozart’s hometown of Salzburg. In 1959 they emigrated to Canada and in 1960 established Sabathil & Son in Vancouver, moving to Bowen Island in 1989.